Just this morning, A tanker explodes on Lagos Badagry Express Road which have resulted to loss of goods and properties. Gistvic Reports. The tanker which exploded there; claimed 3 lives and set a 40ft container ablaze. 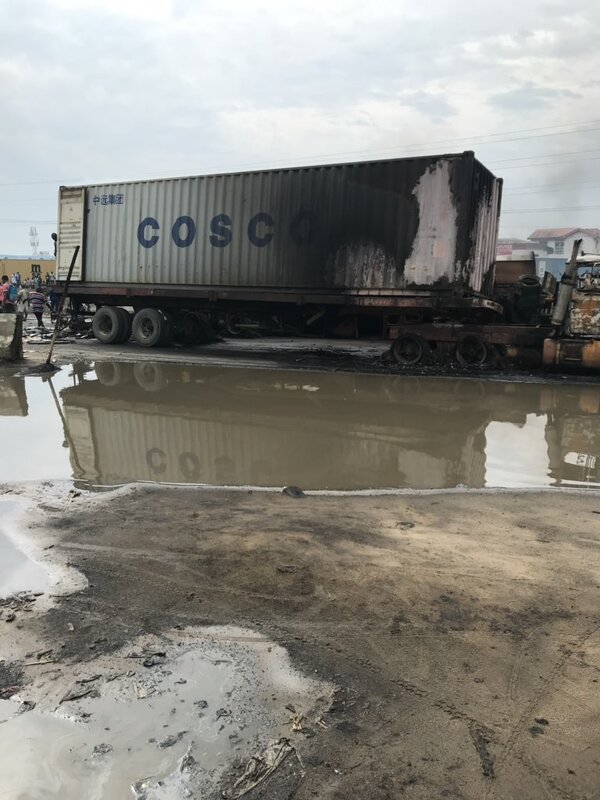 The accident happened in the wee hours of this morning, at about 3 am, and despite the heavy rain that fell, the tanker was still burning as at this morning. An eyewitness claims that more than 3 people died in the tanker explosion. A container carrying generators was also caught in the fire. Cars with businessmen’s goods were burnt together with the contents.